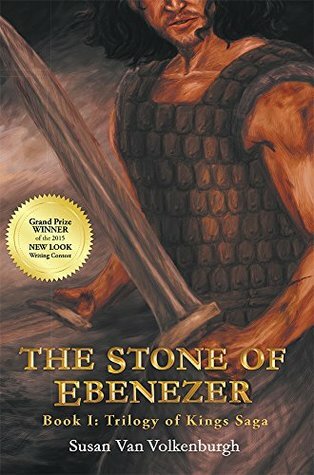 In the days of the last judge of Israel, from the foothills of Ephraim to the coast of the Great Sea, THE STONE OF EBENEZER is a thrilling saga of loss and revenge. As nations clash in a struggle for regional dominance, two men, on opposite sides, each strive to overcome the past and reconcile faith in his god. I am truly fortunate to have experienced such unfailing support in writing this novel. With pleasure, I here present the foreword to THE STONE OF EBENEZER, written by my good friend and mentor, Rev. Judith Wiegman. Her enthusiasm for my effort is overwhelming; she is a constant source of guidance and strength. As I begin this Foreword, I am reminded of the call from Susan when she completed her manuscript “The Stone of Ebenezer.” Months before, she had contacted me to pray about writing the Foreword; a request that aroused a feeling of deep responsibility. I am a pastor, author, and faith writer columnist but this was more than a writing assignment, more than a column for the newspaper, it was a call from Susan’s heart to mine; one I accepted with feelings of immense humility. I agonized with Susan and her family upon learning how deeply they were all wounded two years prior to our meeting in the powerful tragedy of September 11, 2001. They were forced to travel a journey, not of their choice, but theirs just the same. One of the passengers aboard American Airlines Flight 77 that hit the Pentagon was her father, Stanley R. Hall. I prayed diligently for her as she struggled to publish her first book, SILENT RESOLVE AND THE GOD WHO LET ME DOWN. I share her grief each time I pick up the book and re-read any portion. I could picture Susan as the manuscript left her hands in Texas headed for mine in Pennsylvania. It arrived! Overwhelmed by excitement, I signed for the treasured box. I held it in my hands, called immediately to announce its safe arrival and curled up in a sunny spot to begin an incredible journey that began long ago in Ancient Israel. A journey traveled by Old Testament characters, re-born in Susan’s heart, now ready for anxious readers such as myself. As I began to read, I envisioned the daunting task Susan faced as the overwhelming “I must write” feeling flooded her mind repeatedly in the early dawn. I marveled at the countless hours of research she logged in on this work. Her dedication allowed her to portray the events found in I Samuel chapters 4-7. Its amazing, vivid account of biblical events is historically accurate. The Bible states “So the Philistines fought, and the Israelites were defeated and every man fled to his tent. The slaughter was very great; Israel lost thirty thousand foot soldiers. The ark of God was captured and Eli’s two sons Hophni and Phinehas died.” God’s judgments, treacherous journeys, blood battles and even romance come alive to the reader in this skillfully written epic story. Portrayed in her book are characters brought forward from Old Testament antiquity and presented face to face for the reader to experience. This novel draws the reader to “be at home” in the Old Testament setting. Woven throughout its pages, the reader will readily see the hand of God as it moved in times past to protect the ark of God and the chosen children, Israel. It will allow the reader to grasp the fact that God’s faithfulness to His Word in both blessing and judgment has not changed and can be claimed by us today. I am honored to introduce this work by Susan Van Volkenburgh and to encourage her to pursue the completion of the series, TRILOGY OF KINGS. 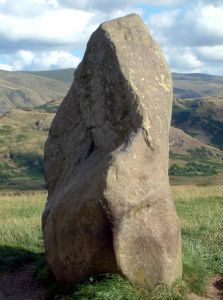 THE STONE OF EBENEZER has been selected as a finalist in the Women of Faith 2012 Writing Contest. To learn more about Susan’s experience with September 11, 2001, read her book: SILENT RESOLVE AND THE GOD WHO LET ME DOWN (a 9/11 story). You can find it at Amazon, Barnes and Nobles, LifeWay or your area retailers.